McDonald's Corp, the world's largest restaurant company, is expected to announce a marketing partnership on Thursday with Houston Rockets star Yao Ming, people familiar with the matter said. Yao, one of China's biggest international celebrities, already has endorsement deals with shoemaker Reebok International, Apple Computer Inc. and Visa making the 7-foot 6-inch center one of the world's most sought-after professional athletes. Yao, a 23-year-old Shanghai native, is set to start in Sunday's NBA All-Star Game in Los Angeles, having edged out Lakers star Shaquille O'Neal in fan balloting. Representatives for McDonald's and Yao's management team were not immediately available to comment on Wednesday. But McDonald's issued a statement saying that it would hold a special media event on Thursday in Los Angeles to announce a global marketing partnership with one of the NBA's "top superstars." McDonald's executives, including Eric Foo, the managing director of McDonald's China, are set to attend Thursday's event, along with NBA Commissioner David Stern, a major booster for the league's international expansion. In large part because of Yao's popularity more than half of the visits to NBA Web sites this season were from outside the United States, the first time that has happened. 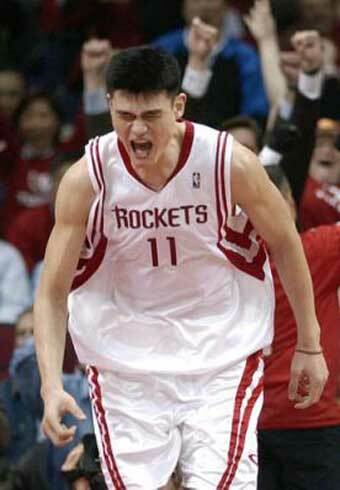 In 2002, Yao became the first international player to be selected first in the NBA draft and he has won over fans in the United States in his first two seasons for his play and his easy-going style. This week Forbes magazine put Yao at the top of its list of Chinese celebrities with an estimated income of $14.5 million, largely from his endorsement deals. McDonald's previously had a sponsorship deal with Lakers star Kobe Bryant, but elected not to renew that deal in the wake of sexual assault charges filed against him in Colorado. China's women march on but who will join them?